Performance Label company has always stood by its name in providing high performance labels of varied types and styles. When it comes to quality, we excel at any cost with the help of our unique and innovating printing techniques, dynamic designing capabilities and accurate shape, size and dimensions. Sheeted labels from PLC are in much demand as we provide high-quality blank sheets that customers can use according to their customized requirements. 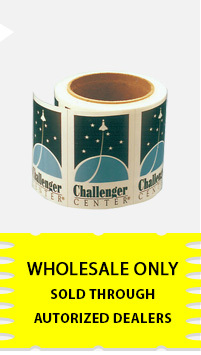 PLC offers excellent quality sheeted labels made of finest materials. Our breakthrough printing techniques help customers find the exact labeling solutions for their business purposes. PLC provides varied sizes and shapes of sheeted labels to customers according to their labeling needs and make sure to maintain high standards of quality, efficiency and performance. Why Should You Choose PLC for Your Labeling Solutions? There are more than few reasons for which our customers rely on our services and products and hence they repeat orders with us. Following are some of the benefits enjoyed by our customers. We make it easy for our customers to reach and deal with us. All they need to do is pick the phone and talk to us and place their orders. We value our customers’ time and hence try to finalize the orders on the phone and offer instant quotes for the service. This fastens their decision-taking process. We make sure to deliver products on time on our customers’ doorstep without any delay or hassles. Our cost-effective sheeted labels and other varieties are favored by our customers as we provide complete value for their money. We also provide customized labeling solutions to cater to our customers’ particular business requirements. We at PLC constantly work out to enhance our technologies and hence keep upgrading our processes of printing, cutting and making of high-quality labels. With PLC you never have to worry about any of your labeling requirements, be it for any purpose.